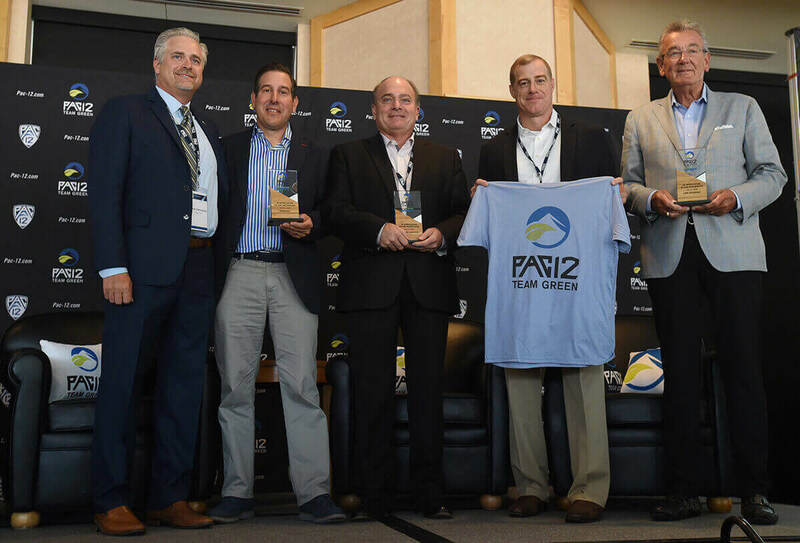 The Pac-12 and Unifi, Inc. and today announced a long-term partnership, with Unifi serving as the Founding Sustainability Partner of Pac-12 Team Green and as a sponsor of the Pac-12 Sustainability Conference. As part of the partnership, Unifi will provide grant funding to all 12 of the Conference’s member institutions to support sustainability initiatives and increase recycling efforts; work with the Pac-12 and Pac-12 Networks on creating custom content and media assets to feature sustainability programs and support efforts to recycle billions of plastic bottles into fiber; and will serve as an official sponsor for all Pac-12 championship events. The announcement today occurred during the 2018 Pac-12 Sustainability Conference at the University of Colorado Boulder. Known as the “Conference of Champions,” the Pac-12’s focus on sustainability became more tangible in 2011 when all Pac-12 campuses became Green Sports Alliance members. The following year, the Pac-12 formed the Pac-12 Football Zero Waste Bowl and Basketball Road to Zero Waste competitions, challenging universities to eliminate waste and conserve resources – which are sustainable operations aligned with Unifi’s mission. More information on the Pac-12 Sustainability Conference and future events are available at Pac-12.com/sustainability.